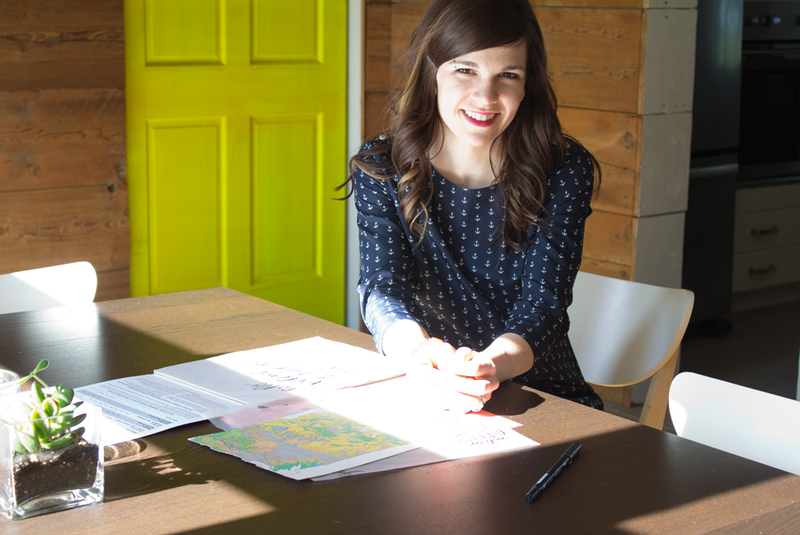 Growing up in Southwestern Iowa, Meg Gleason, the co-founder of Moglea, was often found doodling, drawing or painting next to her supportive older sister, Mary (who later convinced Meg to stop studying Biology and major in Graphic Design in college!). However, it was truly in high school where Meg found a love for creating her own lettering styles. 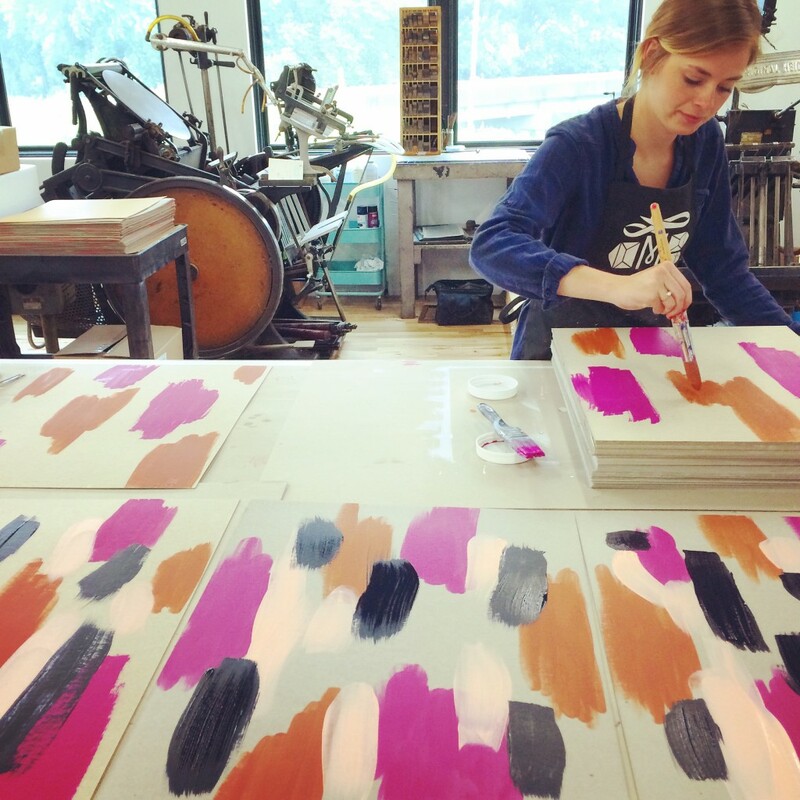 Soon after graduating from college, Meg and her husband Chad moved to the family farm and invested in a small letterpress printer and moved the 1500 lb., century-old beast into their basement. Meg began to form her ideas and start a card line in 2012 – and Moglea (pronounced Moh-glee) has been going strong every since! Over the past three years, with Meg’s strong desire to keep the cards feeling one-of-a-kind, Moglea has kept every bit of production in-house. 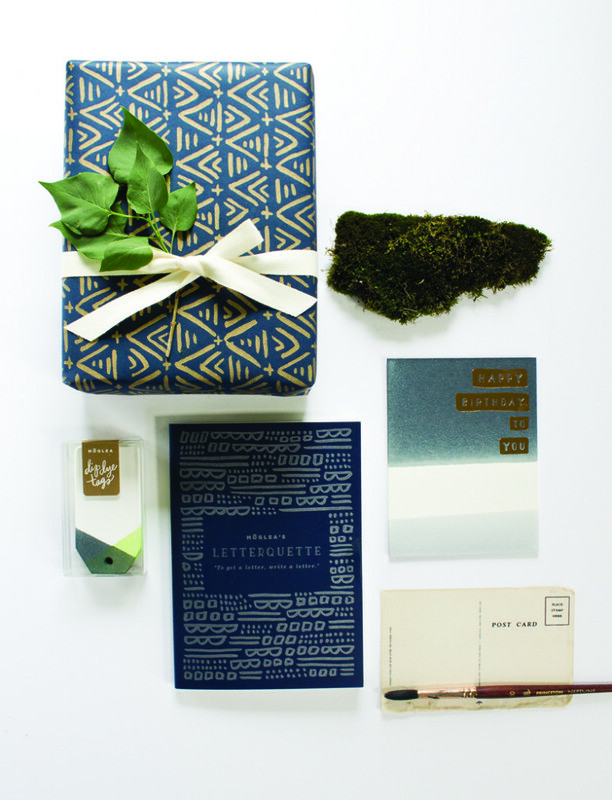 Each piece of paper goods have been hand touched by her or one of her staff members, be it dip-dyed, die-cut, edge-painted or a watercolored detail. 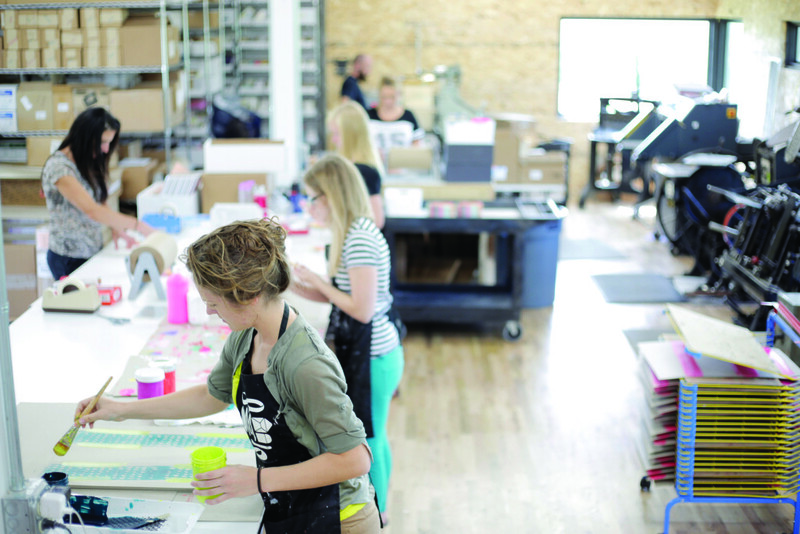 The company recently moved out of the farm house and into a new, multi-functional studio which Meg and Chad designed to include more printing presses and their growing staff. They even have even room for a furniture studio, two small apartments and a large kitchen for cooking classes. Moglea has even more on the horizon through its collaboration with BCBGeneration (products in their stores next month) and new wedding-focused products coming out in January 2016, an area where they hope to expand further. When Chad and Meg aren’t managing a stationery company, they are raising two young children who are often found in the studio, crafting their own projects. “It’s fun to find new ways to engage them while I’m working. Their favorite thing to do lately is package up their own Moglea products (usually scrap pieces and old labels) and ship them to their friends and family. I just feel blessed to do what I love and have my children with me while I’m doing it.” Sounds like a gift to me, as well, Meg. Congrats!! 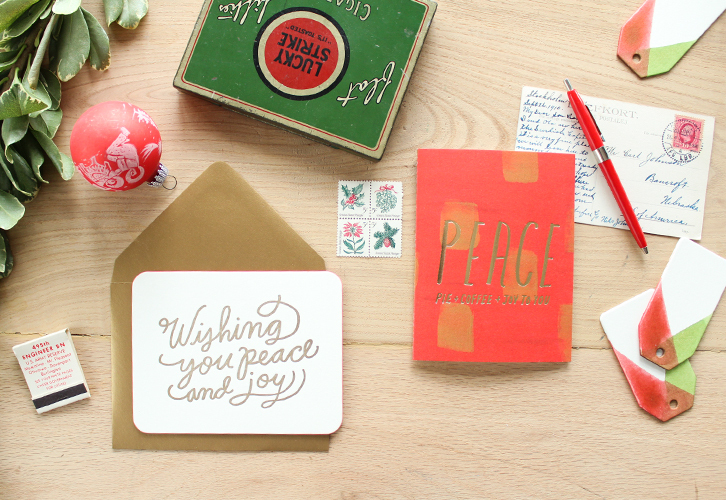 And thrilled to recently include Moglea into the Brown Ink family!